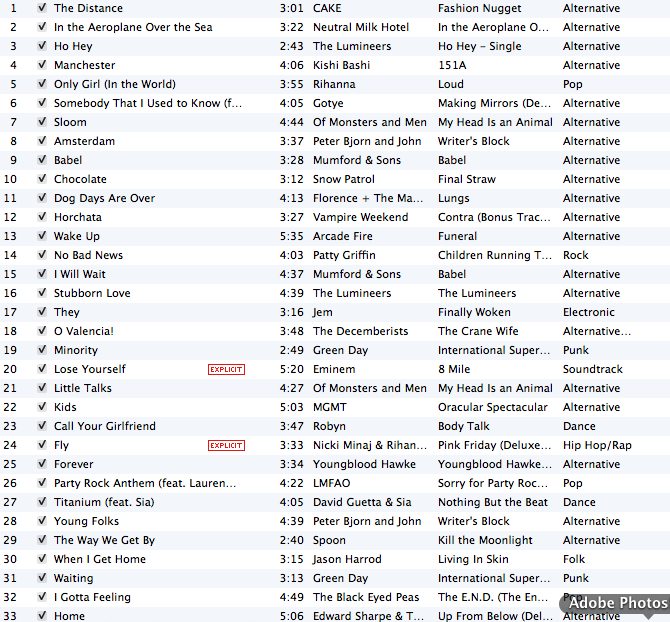 With the race a few weeks away, I’ve tweaked my half marathon playlist. Kept a few favorites from last year, but added and rearranged others. The playlist is just over 2 hours, since I’m hoping to finish in about that time (I typically run 9:30 miles). My criteria is the same as last year: strong beat, steady pace, uplifting or fun lyrics. I have a tendency to go out too fast, so I stacked a few slower songs at the beginning. Thew in a few goofy songs just for fun. What are your favorite songs to run/exercise to?